The Creative Technology Hub is an innovative space opening in August 2019. This is a new space fostering a creative and collaborative learning environment through technology. 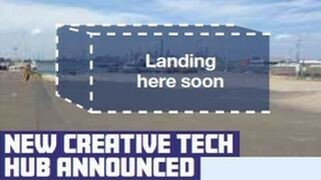 The Creative Technology Hub is a partnership project between Seaworks and Hobsons Bay City Council and will be located at the Seaworks Maritime Precinct. Fund, with founding project partner contributions from Toyota, Raeco, AVJennings, Tribus and Here Studio. The Creative Tech Hub uses creative technology and a ‘play to learn’ model as a hook into learning. Programs and activities offered at the hub will focus on STEAM – Science, Technology, Engineering, Arts and Mathematics – essential 21st century skills to provide opportunities to skill up, re-skill and obtain new employment opportunities. Co-located with the Maritime Museum the Creative Tech Hub is founded on the concept of Makerspaces, a growing movement of hands-on, mentor-led learning environments to make and remake the physical and digital worlds. - Learn new skills in the areas of coding, electronics, robotics, 3D modelling and design. - Learn coding skills and concepts in a hands-on environment through building games, apps and solving real-world problems. As a community hub, the project will offer a place of local and community connection, cross-generational collaboration, as well as an extended experience for visitors to Seaworks. The Hub will be open to community members, young people, school children and visitors to Hobsons Bay and the Maritime Museum. All ages are welcome with opportunities to get involved in creative tech projects.